Global aircraft deliveries have seen a strong start to 2019, with 183 aircraft delivered to date, the highest since 2015. Gross orders fell in February 2019, but the backlog of aircraft on order books remains high, still standing at more than 14,000 aircraft. A decrease in widebody aircraft orders and a decrease in the widebody backlog follows the cancellation of remaining A380 orders earlier this year. Engines are also looking strong across the board with a record backlog, an increase in deliveries and orders. The engine backlog is now at a record 26,160 which has been led by growth in single-aisle engine orders. 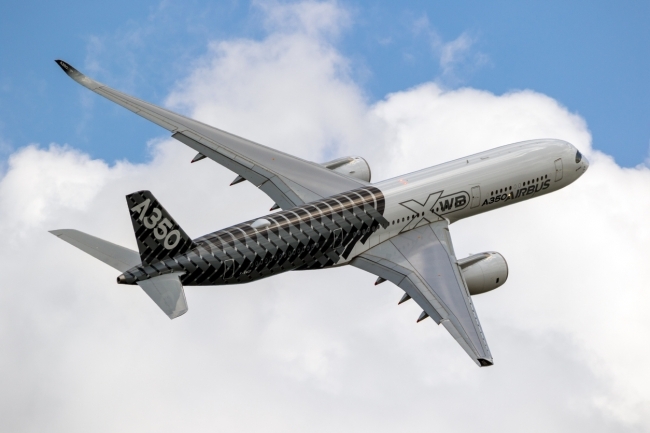 Year-to-date orders are up 134 per cent with 358 orders across both engine types, this is in advance of anticipated widebody aircraft orders and contributing to the record backlog. However, UK industry has already seen a decline in value of aerospace manufacturing in 2018 and faces the prospect of major disruption if a deal is not urgently agreed on Brexit. ADS Chief Executive Paul Everitt said: “While the global industry is thriving, UK industry continues to face the all too real threat of a No Deal Brexit. As MPs return to Parliament to vote on a Brexit deal again this week, we urge the Government to remove the threat of No Deal and commit to work with Parliament to secure a new approach.